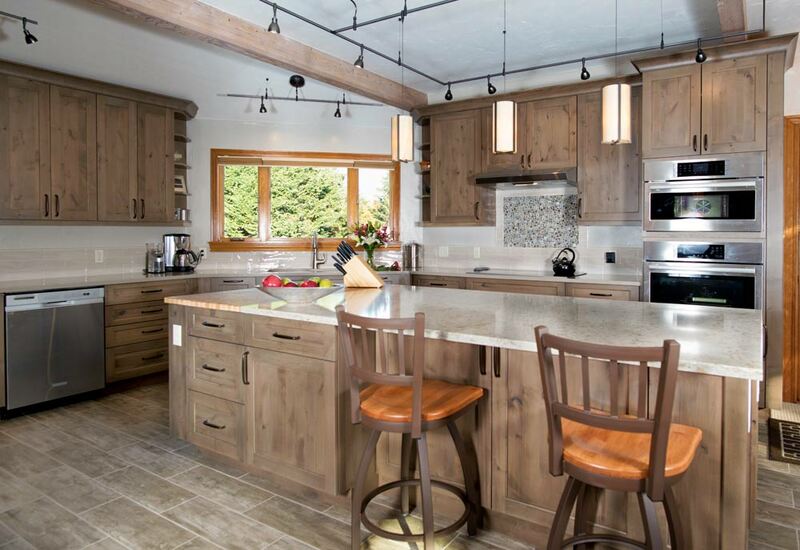 On trend “distressed wood” plank porcelain floor tiles complement the rustic cabinetry. 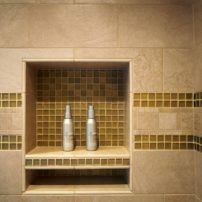 Tile, in all its many forms and installation options, is a great way to put your personal stamp on a residential project. To ensure your tile installation is done properly and provides the aesthetic return on investment you are looking for, it important to understand the basics of this beautiful, versatile material. Know how a tile can be used. All tiles are designated for specific applications. You don’t want to go down a rabbit hole by falling in love with a particular tile only to learn that you cannot use it in the manner that you want. 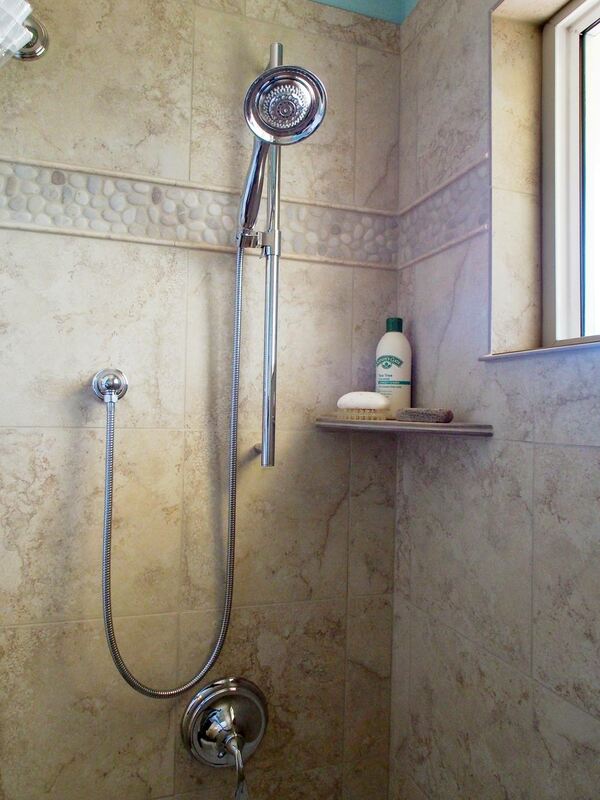 For example, glass tiles are often used as accents in showers, tubs, spas and swimming pools. However, not all glass tiles are suited to the level of moisture you find in these environments. Similarly, some tiles are suited for both wall and floor installation while others may only be suitable for wall installation or floors. It is important to know how your selected tile can be used. Decide between field or deco tile. 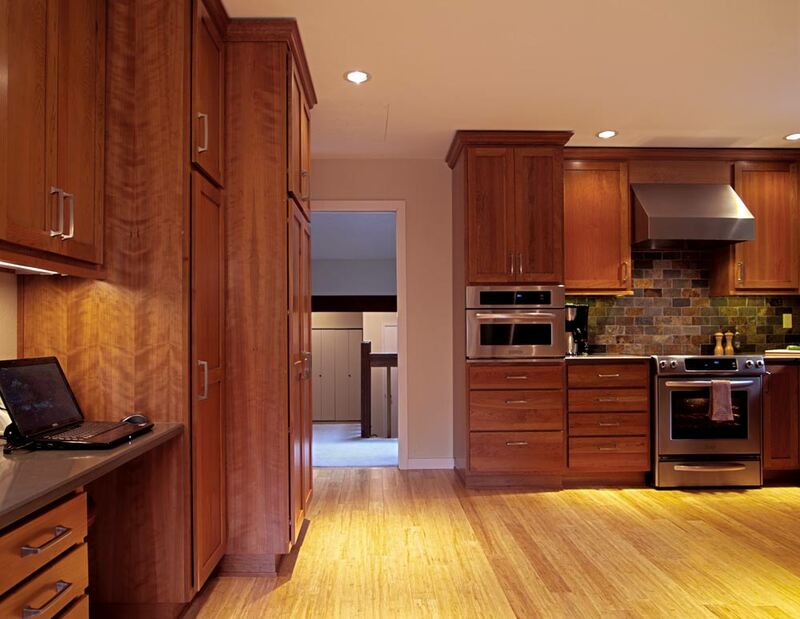 In very general terms, tile is broken down into two primary categories: field and decorative. Field tiles are typically sized from 4-by-4-inch squares and 3-by-6-inch subway up to 48 by 12 inches. Most tile installations are primarily comprised of field tiles. 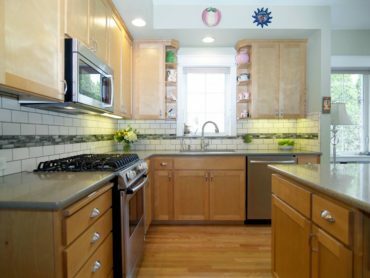 Decorative tiles tend to range in size, from half-inch-square to 12-by-1 inches, and are used to augment, accent and “finish” the edges of a tile installation. Decorative tiles may be linear, square or round and may have special finished edges such as a bullnose. 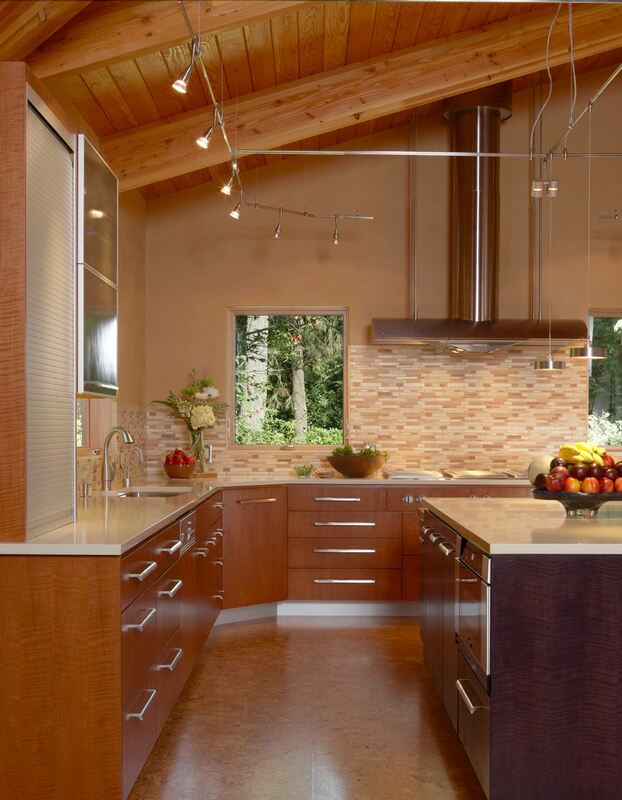 Linear ceramic mosaic tiles, set in a horizontal pattern, help make the soaring ceiling feel less cavernous. There are several different types of tile, categorized by the materials they are made from, including ceramic, porcelain, glass, concrete, natural quarried stone, metal, pebbles and more. 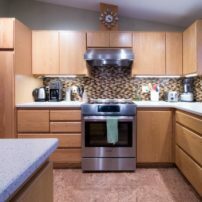 Production-made ceramic tiles are cost-effective and the color is consistent (within a specific dye lot) while custom-produced ceramic tiles are more expensive and may have irregularities in shape and color, attributes that draw consumers to these unique tiles. Highly durable and cost-effective, porcelain tiles come in a wide variety of “styles,” including wood grain, marble, acid-washed concrete, limestone and slate, allowing consumers to achieve a natural wood or quarried stone look while avoiding the cost and maintenance requirements. 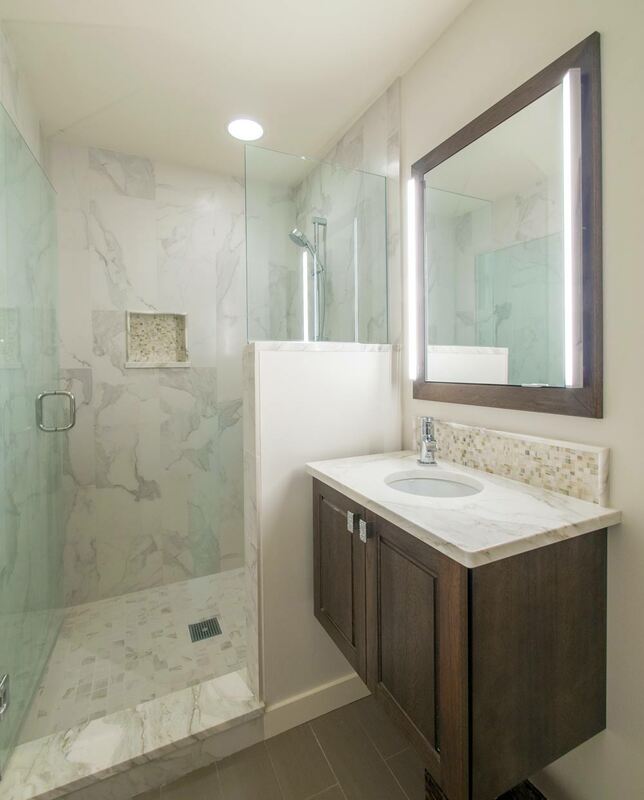 Glass tiles add beauty and depth to a tile installation regardless if it is on the floor or on the wall. 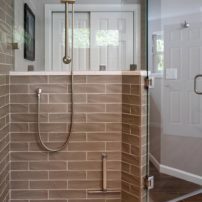 Glass tiles in general come in three primary finishes: clear, satin/etched or milk/silk, and any one of these finishes may have an iridescent surface. 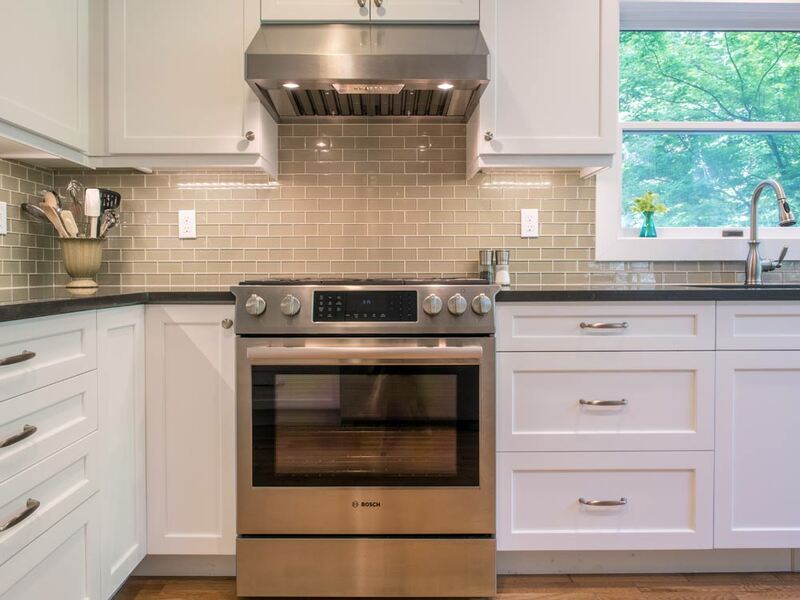 Glass tiles tend to be more expensive than ceramic or porcelain ones; use them judiciously to get the most bang for your buck by choosing them as a decorative accent in a tile band in a backsplash or shower. Note: Some glass tiles are ultra-thin (a standard tile is 3/8 inches thick). If you are combining them with ceramic, porcelain or stone tiles, it will be important to create a level plane for all the tiles in the installation. Production concrete tiles, typically installed as flooring, have soared in popularity over the past few years and generally sport Spanish, Italian, Greek, Turkish or Moroccan geometric and floral patterns. Pricing varies from very affordable to upper end. They tend to be thicker than other tiles, so realize that you may need to trim your doors down if you use concrete floor tiles. Custom concrete tiles can be quite large (up to 3-by-3 inches) and designed with custom colors and material inlays such as shells, fossils, rocks, etc. Because of styling and weight, it is considered prudent to have concrete tiles professionally installed. 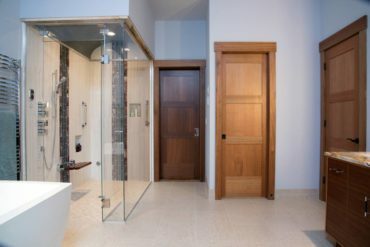 Natural stone tiles can be found in a range of sizes and stones including marble, granite, limestone, slate and more, with a variety of applications for both walls and floors. 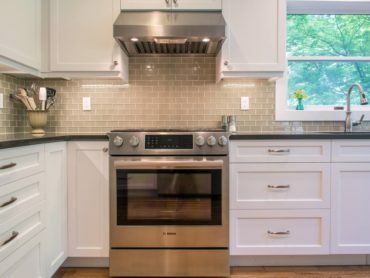 They’re priced higher than ceramic or porcelain, and the uniqueness of stone tiles often justifies the price for many consumers. 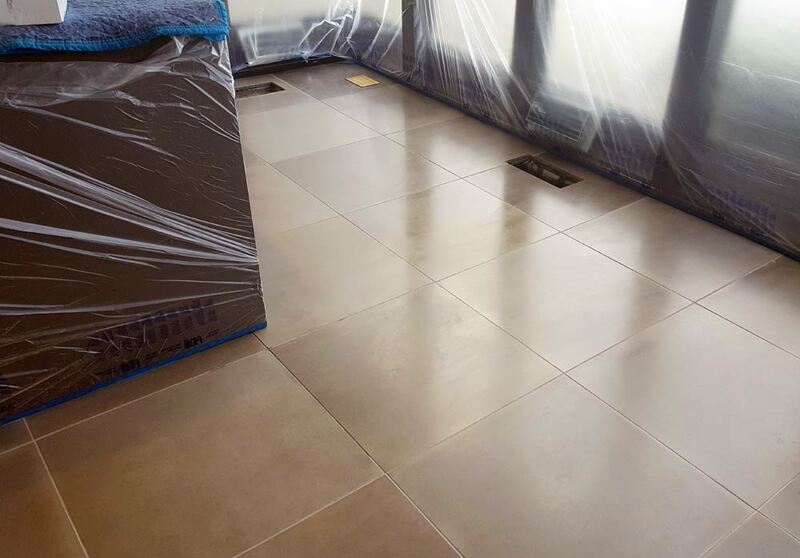 According to Director of Showrooms Kelley Stratton of United Tile, one very important characteristic to keep in mind is the maintenance requirement — stone tiles need to be cleaned properly and often, as well as sealed and resealed. 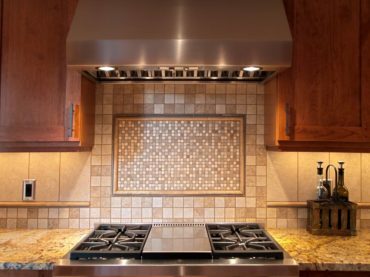 Metal tiles are typically used as accents due to the limited styles and sizes (8-by-4 inches may be the largest one available). They range from stainless-steel flat bars to an embossed fleur de lis in bronze. There are many mosaic tile blends that meld metal, glass and natural stone together for maximum texture and complementary color variations. 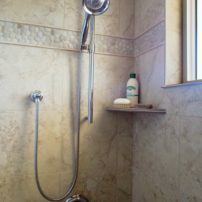 Whole and sliced pebbles have been a popular floor and shower pan application for the past decade. 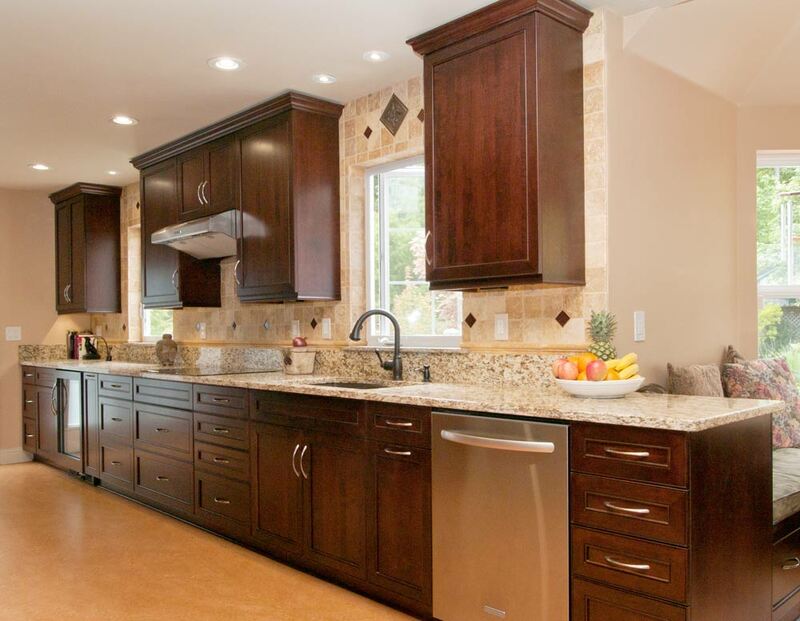 The stones are natural and have the beautiful muted tones of natural rock. The individual pebbles tend to be smaller than 3 inches in length and are sold in 1-square-foot, mesh-backed sheets. Whole pebbles are best for floor applications, provided you find the stones comfortable under your feet, while sliced can be applied to walls and floors. Pricing ranges based on whether the stones are whole or sliced. 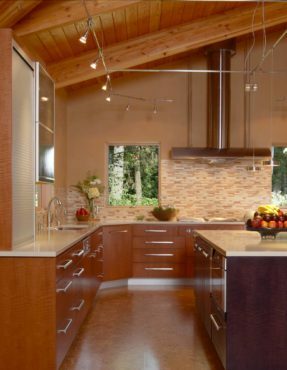 Metal accent tiles add texture and an old-world feel to this kitchen. 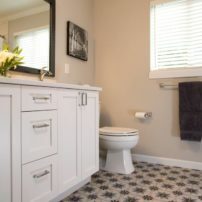 Whether you decide to pick out tile on your own or hire a professional, you will inevitably find a lot of styles, colors and textures to choose from. Tile trends today are embracing bold patterns, colors and lots of texture. 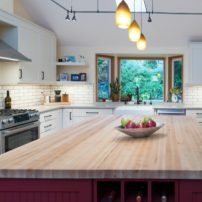 “Most consumers are pleasantly surprised when they learn that tiles don’t just come in white and how textural tile has become,” said Lisa Yobbagy of Creative Countertops. 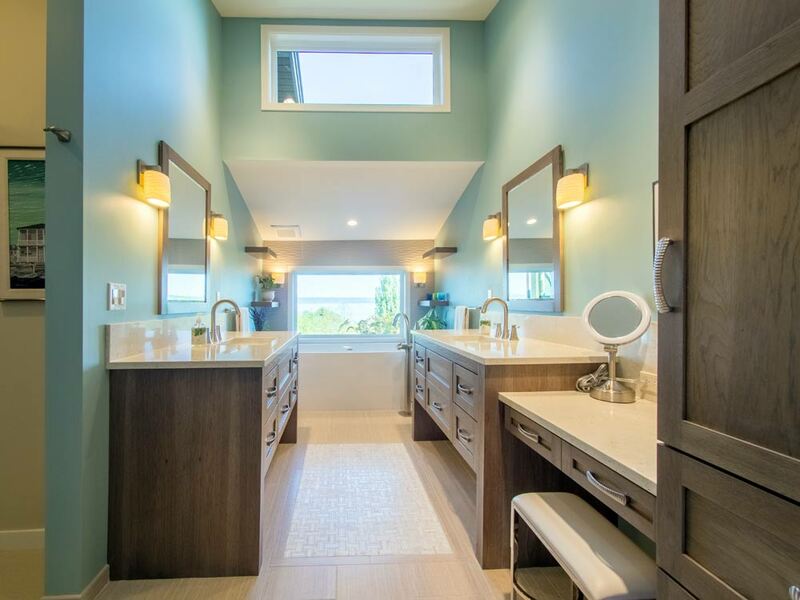 Creating an accent wall in a foyer or behind the vanity in a powder room with a textured tile makes a beautiful statement (this same tile in a shower may frustrate homeowners as the tile may become a depository for soap residue). Porcelain floor tiles are combined with a marble mosaic tile “rug” and a textured wall tile mimicking the waves beyond. 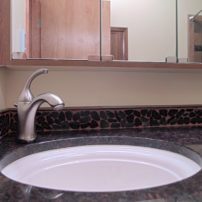 The difference between a proper (good) tile installation and an inadequate (bad) tile installation is similar to the difference between night and day. 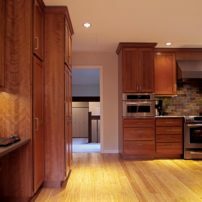 A proper installation will not only be beautiful but will give years of dependable service. An inadequate installation may not deliver the look you were hoping for while rendering some serious structural issues such as cracked tiles, cracked grout, lippage (a tripping hazard), leaky shower pans/walls and more. One drawback of tile is that most of these problems cannot be fixed without tearing out the whole installation and starting over again. 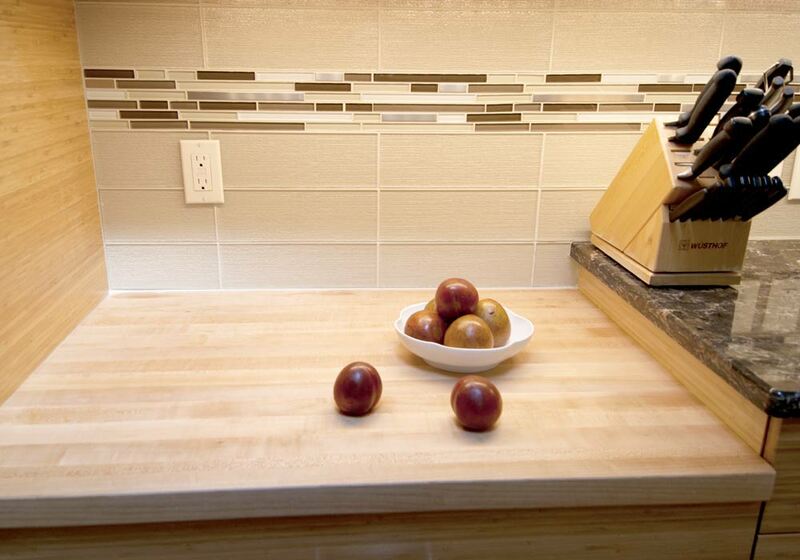 This unique backsplash is comprised of six different stone and porcelain tiles designed by Teresa Staddler. All tile installations require grout between the tiles. The type of tile will dictate how wide the grout line needs to be. 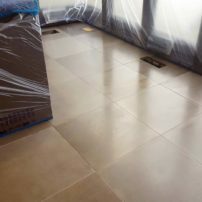 “Consumers prefer small, tight grout lines, and the best way to achieve this is with tiles with rectified edges,” Stratton said. Go bold with grout by choosing a contrasting color to make your tile “pop.” Understand that mold and mildew on grout is generally created by improper tile installation or maintenance. Properly installed, grout will have an integrated or an applied sealant. The sealant will minimize staining (particularly important for backsplashes that get splattered with tomato sauce) and moisture intrusion (which can lead to mold and mildew growth). 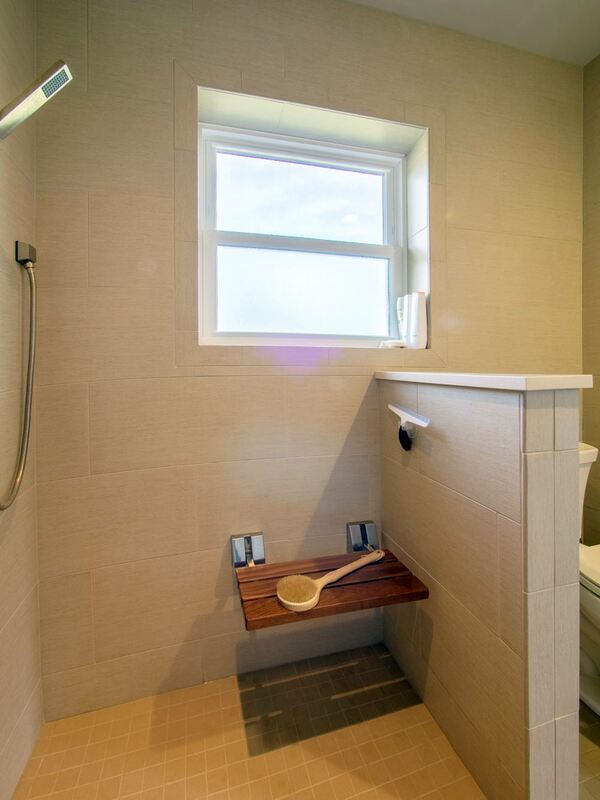 Five carefully selected tiles comprise this steam shower with a vaulted ceiling. Properly cleaning grout is equally important for long-term function and beauty. Always use a pH-neutral grout cleaner and never use products that contain bleach (periodic professional steam cleaning is also a good idea). Lastly, don’t mistake caulk for grout. 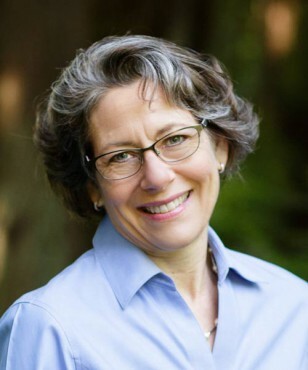 According to Stratton, tile pricing runs a wide gamut, which can take consumers by surprise. It’s best to ask about pricing upfront, which will minimize disappointment and wasted time. Combining a large-format porcelain “marble” tile with real marble mosaic tiles minimizes maintenance without sacraficing beauty. Keep in mind that typically tiles are not available on the same day you purchase them, and imported tiles may have a delivery lead time of up to 16 weeks. Know what you are buying. There’s a reason some tile is priced lower. Make sure you understand the tiles you are purchasing and how they go together. “Consumers often need help identifying the right edge treatments to complete a tile installation such as a bullnose tile edge or a decorative metal Schluter strip,” Yobbagy said. 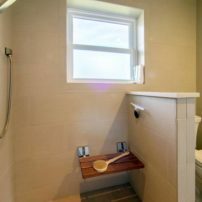 Additionally, in Yobbagy’s experience, many people don’t realize that not only tile floors can be heated — you can heat tile shower pans, too, as long as the heat product is rated for pans. Tile can be casual, formal, earthy or whimsical. Whatever look you are trying to achieve, it is important to understand the basics of tile for long-term satisfaction. 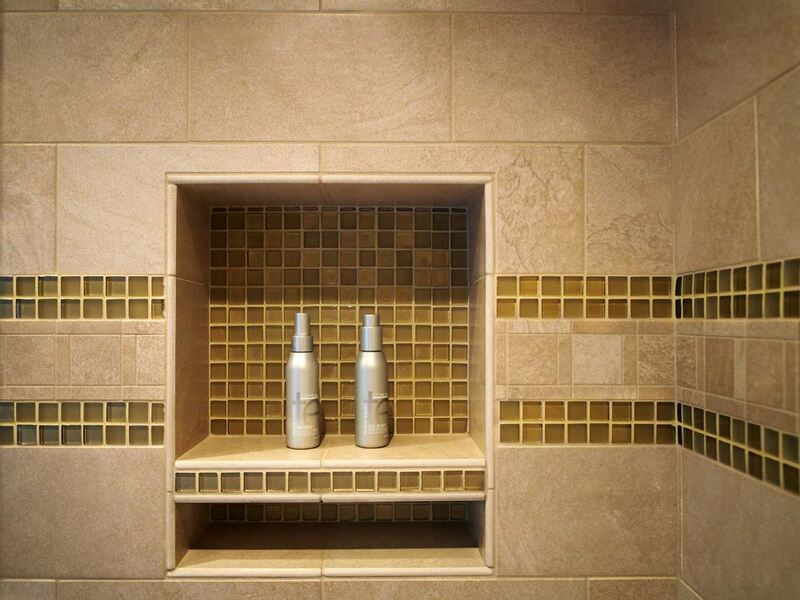 A custom shower niche blends in seamlessly with this three-tile shower surround. 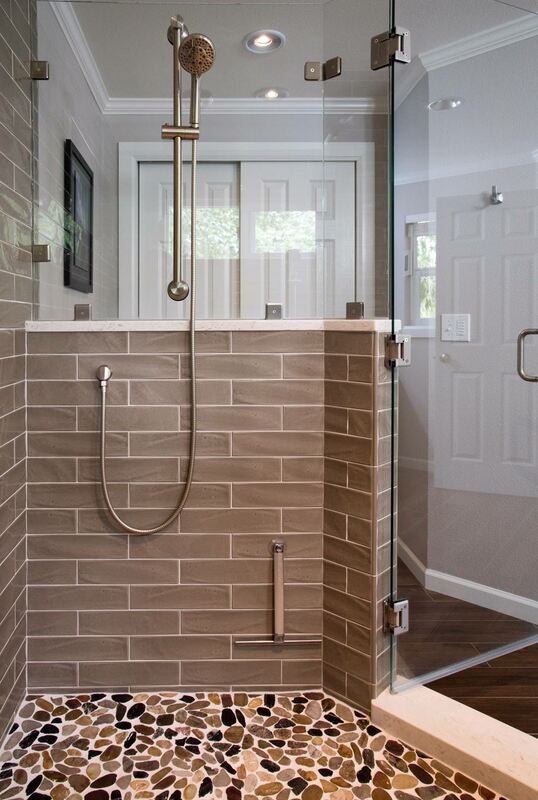 Large-format porcelain tiles run from shower pan to ceiling and completely wrap the window in this doorless shower. Combining large-format porcelain tiles with a natural stone pencil and sliced pebbles provides a unique yet simple decorative band. A textured wall tile and sliced pebble shower pan is right on trend. 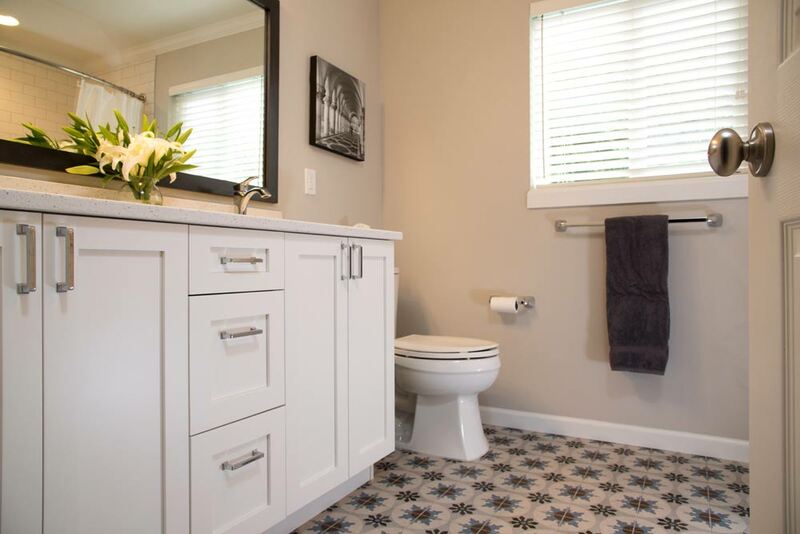 On-trend concrete tile with a Moroccan floor pattern gives this guest bath a cheerful look. 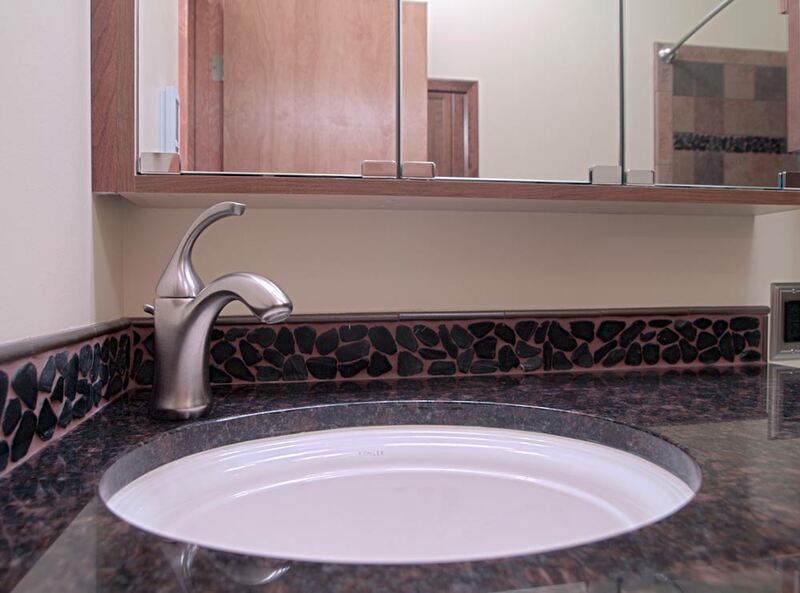 Sliced pebble tile in this vanity backsplash complements the natural stone countertop. A metal-and-glass mosaic tile band intersects the textured glass tile backsplash. 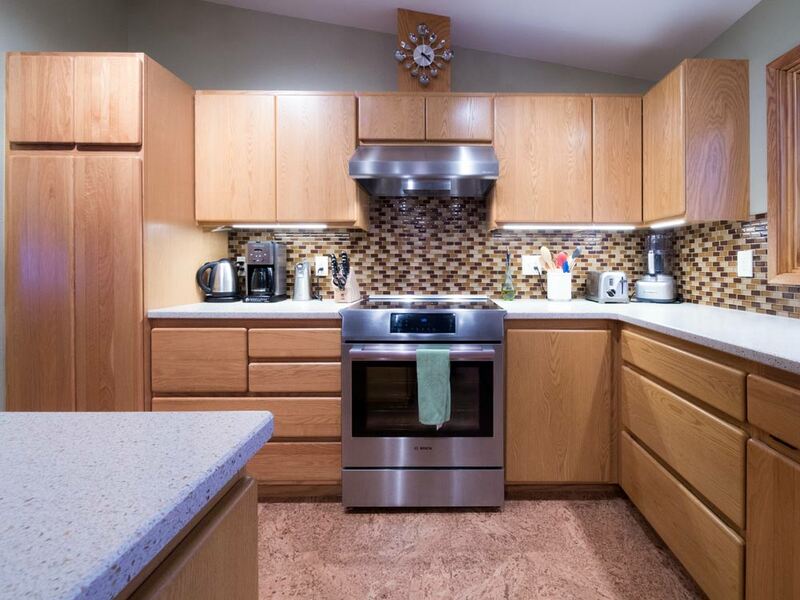 A multi-colored glass mosaic tile backsplash gives this kitchen a color punch. 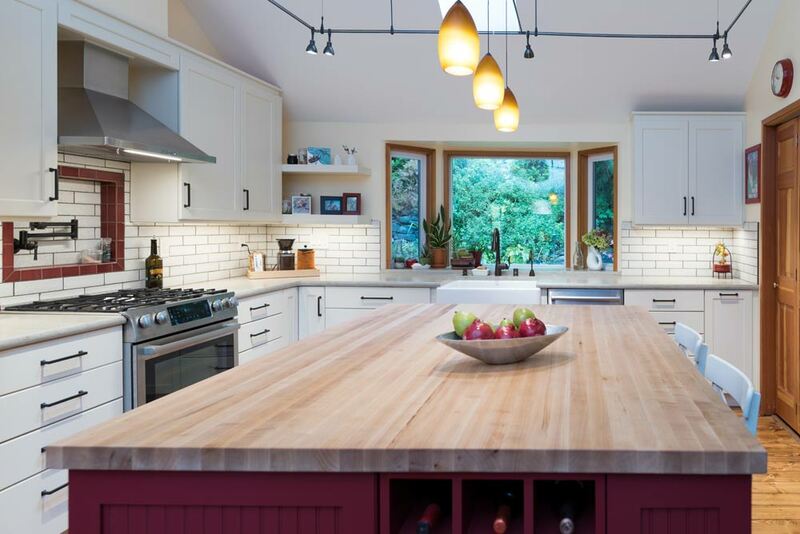 The red tile outline on the pot filler niche complements the red-painted kitchen island. Concrete floor tiles can be quite large and designed with custom colors and material inlays such as shells, fossils, rocks, etc. 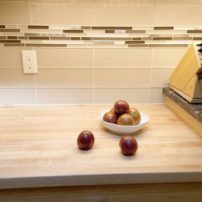 Slate subway tile complement the natural, woodsy environment outside the home.